Have you ever wondered why certain things just don’t work out or seem to go up in smoke? I am a believer that everything happens for a reason – sometimes, I admit, it is a hard belief for me to accept. But again, things happen for a reason, just like this piece. While I am not sure what the purpose is, I have accepted it and moved forward with creating it. I was going to photograph a completely different concept with a friend of mine. The days in Colorado had been beautiful and very spring like – perfect for my concept. Then, as the week progressed, the weather was supposed to change to snow. I changed my concept again to a snow photo shoot. What I did not account for was for the weather to change one more time. On the morning of the shoot I woke up hoping to find the 3-6 inches of snow they had forecasted but instead I realized that it had rained all night (and was still drizzling a bit). I wasn’t prepared to take my model out in the mud nor did I have someone to hold an umbrella for me if it was still raining by the time of the shoot. I decided to cancel it and was incredibly bummed because I was about to have an entire Saturday by myself with no creative project to work on. “Well, that went up in smoke!” I thought to myself. And that is how this concept was born. I wanted to explore the concept of creating a “smoke” effect and just really showcase (from my perspective) what that would look like. How would my character stand if whatever she wanted went up in smoke? What would she be wearing? What should the lighting be like? I took to my sketchbook and planned my next shoot. Below is a video talking a little bit more about the concept and how I photographed it (sorry for the terrible quality! I didn’t realize how grainy it was until after I had filmed it). I have also included my speed edit for the video all the way at the bottom. 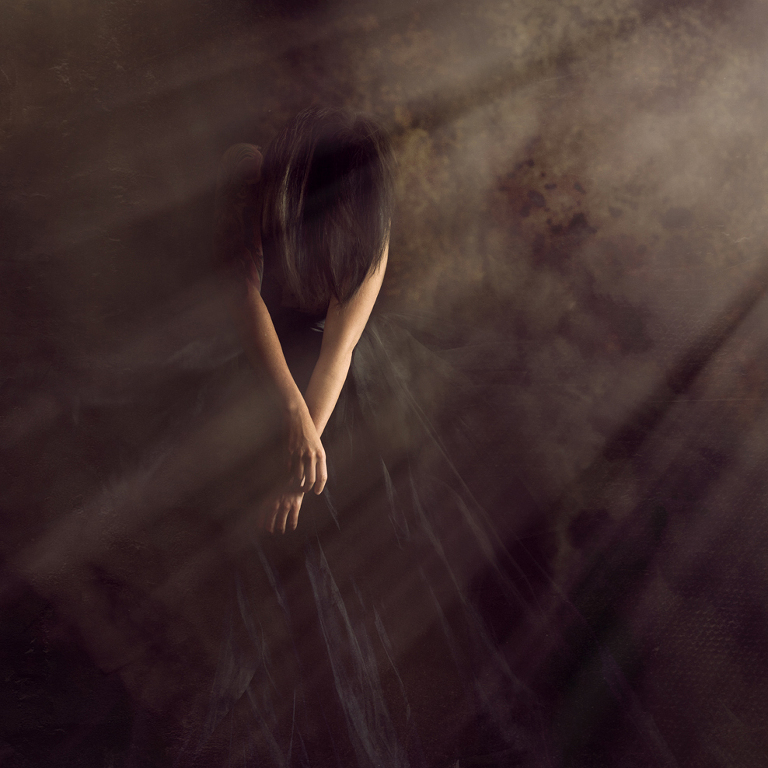 Thank you Brooke Shaden for inspiring me to create another “White Wall Wednesday” inspired shoot. Below are a few of the images from “Up in Smoke”. The first series are how I put together myself and dress and the second set is what I used for a focus point (yup! my vacuum!) and the pan I used for my backdrop. Thank you so much for watching and reading! Scroll all the way down for the speed edit.